I've mentioned before that I'm a Halloween Grinch. I just don't love it. But I do it. 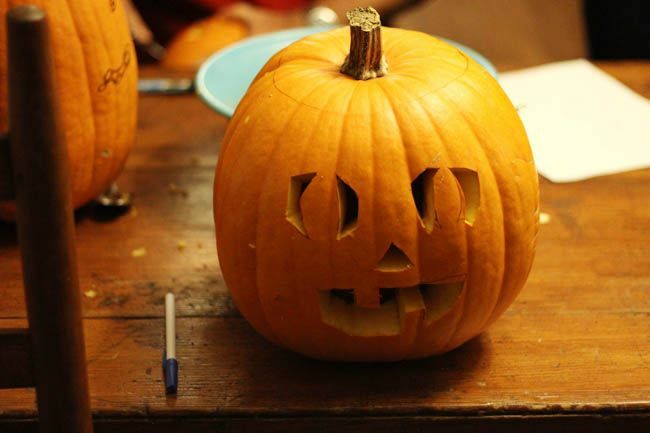 Last night we carved our pumpkins. 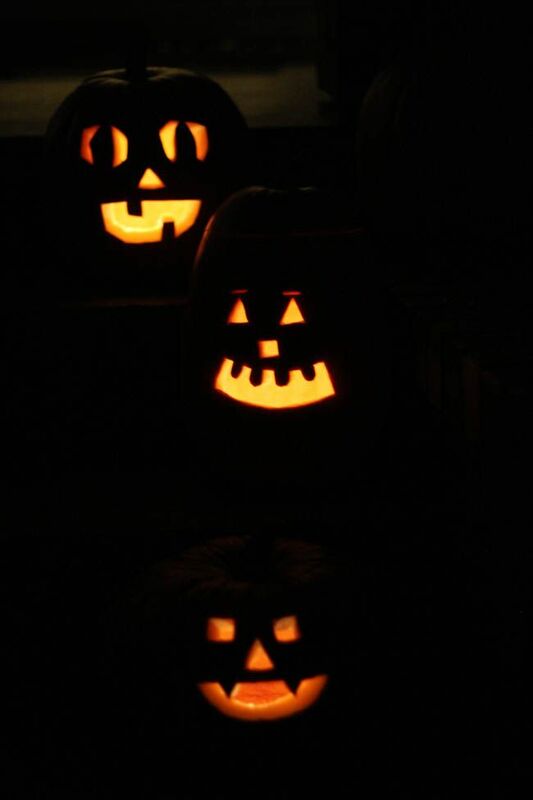 There are our obligatory jack-o-lantern photos. 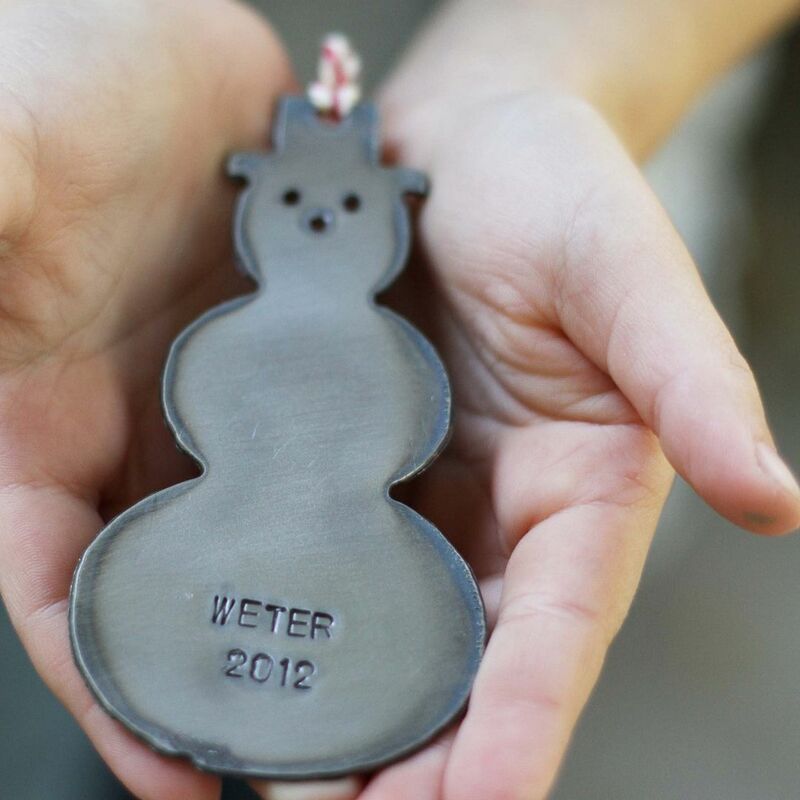 But the real reason for this post is to share our new Christmas ornaments with you! First is The Simple. It's small, sparkly, and pretty. Next is The Gold. It's personalized and elegant. The Angel. A child kneeled, praying, with angel wings. Precious! 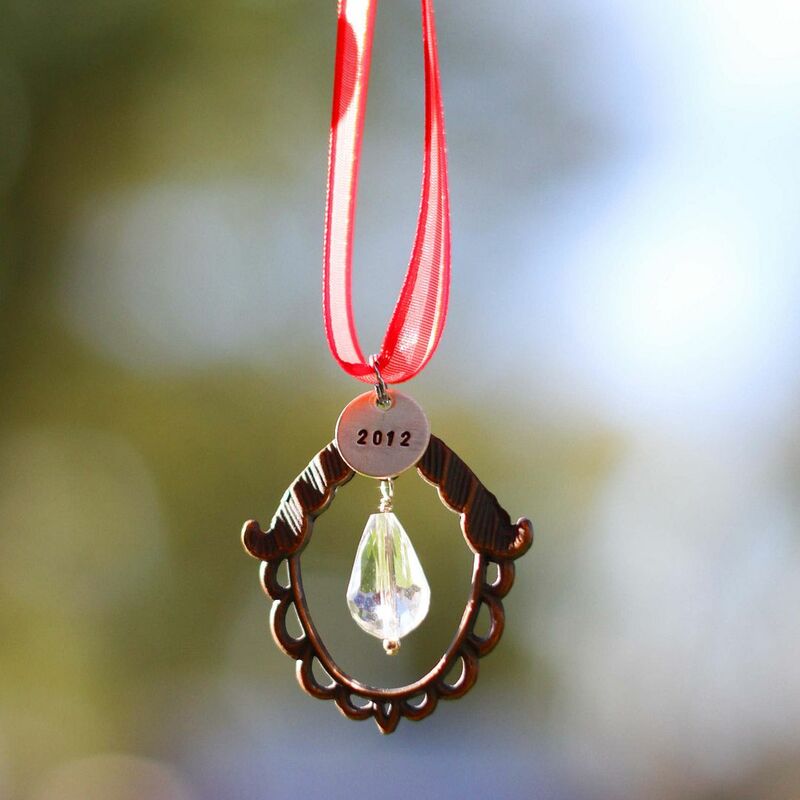 We also had so many requests for last year's ornament that we brought it back too. You can see all of them on the Christmas Page. So, would you like to win one? Just leave a comment telling us your favorite type of pie! We'll pull 2 random winners in a few days! My favorite type of pie is pumpkin. Year-round. I don't really ever eat pie unless it's pumpkin. 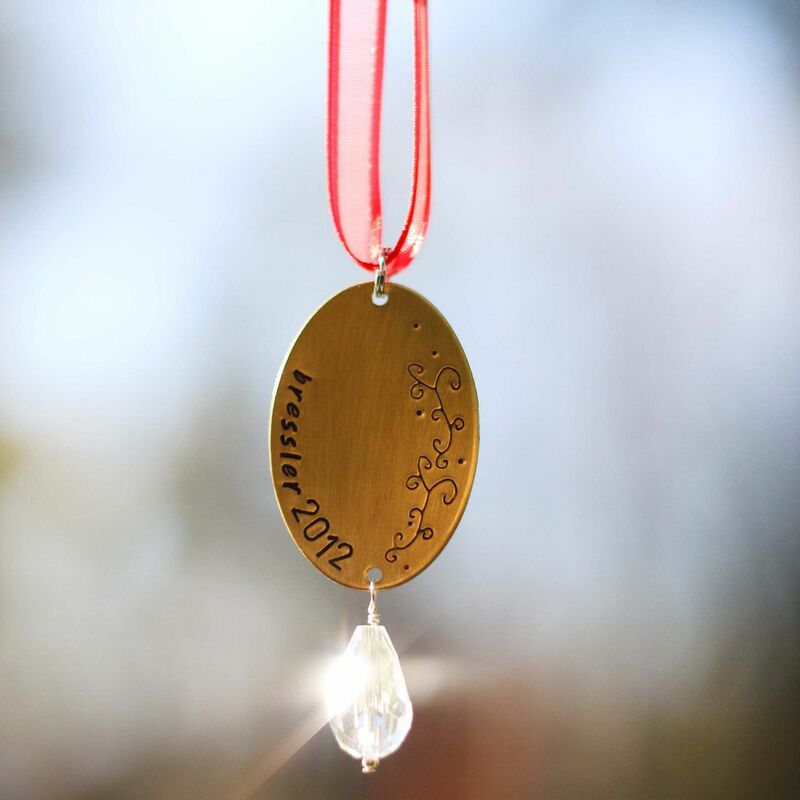 Wow - I really love that personalized gold ornament. Beautiful. Coconut cream! I wish someone would show up ony porch with a slice of it right now! Hey...I've left comments and I haven't become rich, beautiful or skinny. What gives?? Pumpkin-with piles of whipped cream on top! I love pecan pie...Southern style! Thanks for this fun giveaway! Hugs! pumpkin pie is my fav! hallowen grinch here too! don't feel bad..we didn't even do the obligatory pumpkin carving!! I like the snowman ornament, because most of my holiday decor are snowmen! I'm going to a Texas Bloggers' event in a couple of weeks and we're doing an ornament exchange, this would be perfect!!!! Beki. Thank you so much for posting this. 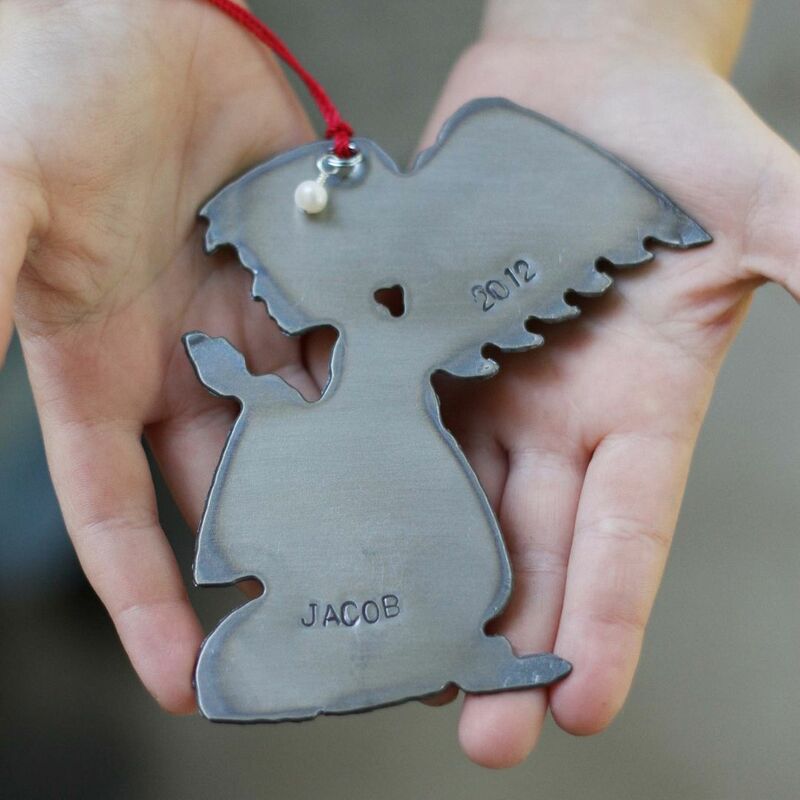 I've been looking for the perfect ornament to hang on our tree this year to remember our baby boy who went to be with Jesus just after two days with us this past June. The angel is perfect reminder that our Seth is spending Christmas with Jesus, and that has to be a million times better than any earthly celebration. Shared from The Rusted Chain timeline to my timeline! Lemon Icebox Pie! So easy and tasty!! Pumpkin pie......no crust because of the gluten. Pecan or peanutbutter ...can't decide! Pumpkin with lots and lots of whipped topping-oh yeah!! apple with a crumble topping!!!! 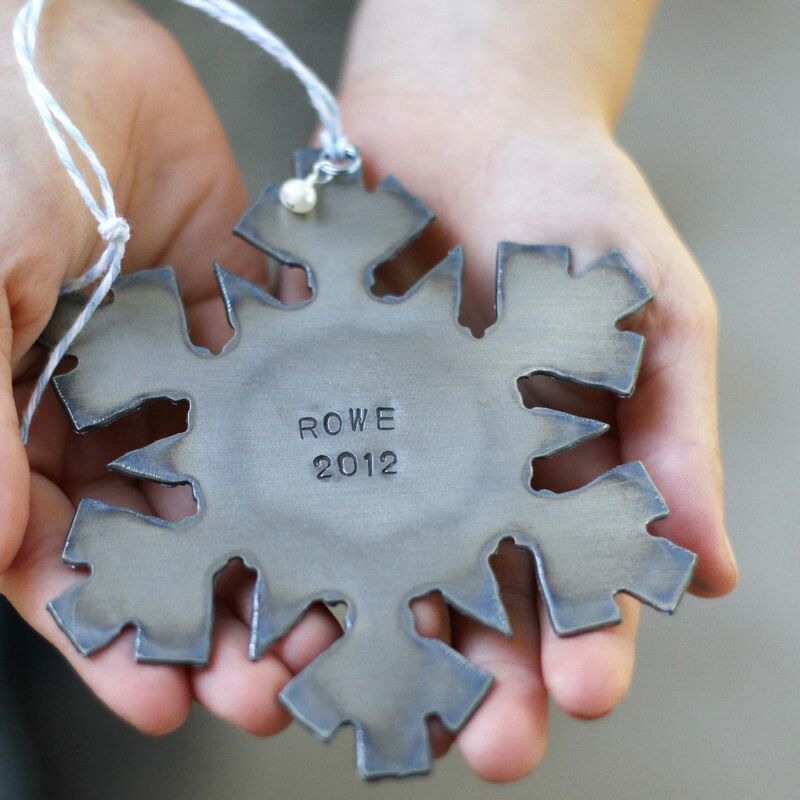 love the snowflake ornament by the way. Just gorgeous!! Pumpkin pie has always been one of my favorites! I think apple pie may be my favorite. Particularly if it has some caramel too. STRAWBERRY RHUBARB pie is my favorite! And as for the ornaments...LOVE them Beki! I just pinned the first one (my personal favorite) to Pinterest. Homemade mince meat pie. A favorite, not made very often. Caramel pie is the best! Peanut butter silk! Or apple. Or pumpkin. Can you really go wrong with pie?! Without a doubt that would be Chocolate Pecan Pie. Yummy!!! my absolute favorite ... that's so hard! maybe lemon meringue? Total tossup between Coconut Cream and Cherry - depends on my mood! Pumpkin is my favorite! Beautiful ornaments! Thanks so much! Love me some pecan pie! It is a difficult choice between pumpkin and apple, but at the end of the day I have to go all American--apple it is! Boy, it would have to be a tie between pecan pie & an apple pie that we had recently from a nearby apple orchard. It was amazing! maybe i'm just plain jane, but i love apple pie!! with homemade vanilla ice cream! Key lime pie to my favorite. Love it! pinned the snowflake ornament :) so pretty! Pumpkin pie for this time of year! The rest of the year I like this chocolate/cream cheese pie I make. It's delish!!! I LOVE pie!! Apple pie, followed closely by blackberry..mmmm. A good apple pie just can't be beat! Cherry! no apple! no blueberry! too many choices :) Cherry! I am not the biggest pie fan, but I like peanut butter pie and pumpkin pie. I love Buttermilk Pie. Oh. YUM. I love Cherry Pie... but I had this Lemon Pecan pie one time that was so delicious. If I could find that recipe that would probably become my favorite. Warm apple pie with homemade whipped cream! Favorite pie would have to be pecan...mmmm mmmm! My favorite pie would have to be pecan pie. I love peanut butter pie!!! chicken pot pie...does that count??? Uhm, is this a trick question? Of course any pie with chocolate! I make a mean apple pecan praline pie though. My favorite pie is apple. But not just any apple pie - Nancy's apple pie!! I have a friend that lives in TN that makes the best apple pie I have ever eaten!! Pumpkin pie made from scratch. I love pumpkin pie...served warm with whipped topping! Ooh, lemon meringue or apple. Pinned the snowflake ornament. Thanks!